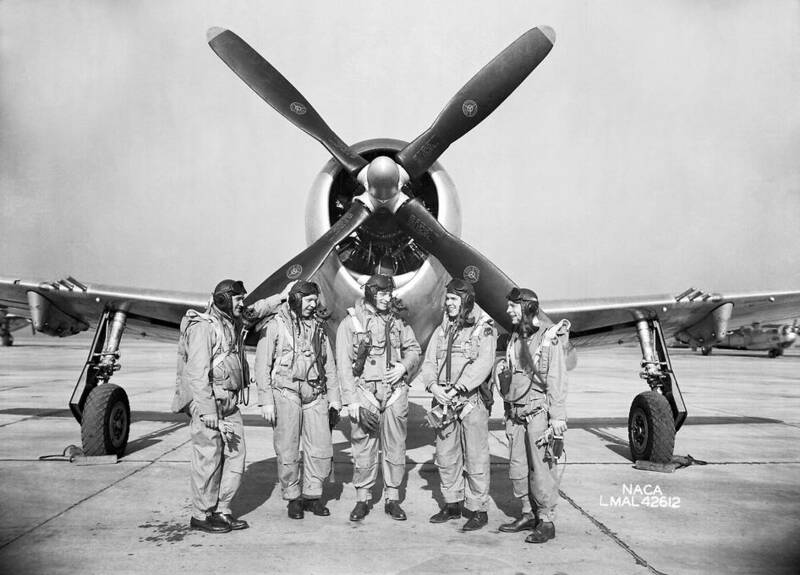 In this 1945 photo, test pilots (from left) Mel Gough, Herb Hoover, Jack Reeder, Steve Cavallo and Bill Gray stand in front of a P-47 Thunderbolt. The photo was taken at the then-named Langley Memorial Aeronautical Laboratory, which was a research facility for the National Advisory Committee for Aeronautics, or the NACA. The NACA was the main institutional basis for creating NASA in 1958.